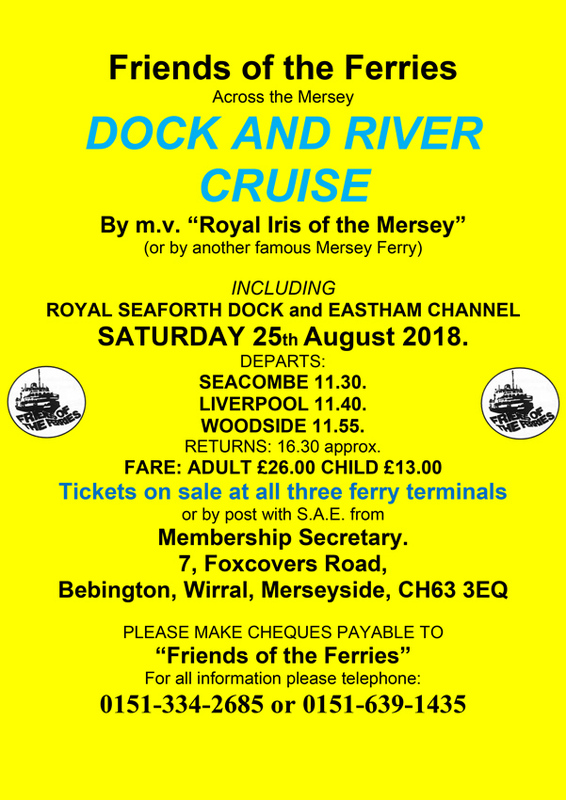 You'll be welcome to join us for our Dock & River Cruise on Saturday 25th August 2018. 14th May 2018 at 7.30 pm. at the YMCA Whetstone Lane, Birkenhead. Guest Speaker: Christina Spencer, retired Archivist, “The History of the Bibby Line”. (The YMCA is located 100 metres from the junction with Borough Road).